A faultless flag-to-flag race by Marc Marquez saw him dominate the Argentina GP, running away with victory from Rossi and Pedrosa. Aleix Espargaro (Team Suzuki Ecstar) was the only rider to opt for the harder rear tyre. The entire front row started with hard fronts and medium rear. With dark clouds looming overhead the race got underway, Jorge Lorenzo (Movistar Yamaha MotoGP) getting the hole shot into Turn 1. Andrea Iannone (Ducati Team) got a great start but came into contact with Dani Pedrosa (Repsol Honda Team), forcing them both wide and dropping Pedrosa outside the top ten. Miller’s charge would be unfortunately short lived as the Australian rider fell on lap four at Turn 3. All the while, Marquez pushed ahead and attempted to open a gap, the top three divided evenly by half a second. Dovizioso then found himself with teammate Iannone for company, Maverick Viñales (Team Suzuki Ecstar) eagerly waiting to pick up the pieces of the Ducati battle. Rossi’s pace soon settled in the 1’41s, not fast enough to catch Marquez and ‘The Doctor’ quickly found himself fending off Maverick Viñales. The Ducati factory pair continued to swap positions behind them, all four riders in the fight for second as Marquez’s lead grew with each lap. Rossi was able to up his pace as soon as Viñales was with him, the young up and comer giving as good as he got with the old master. Viñales came under pressure from Iannone at Turn 1 as the 18th lap of the race began, unfortunately crashing out of the race. This gave Rossi a small amount of breathing room, Iannone over half a second behind his compatriot. But the cushion wouldn’t last for long, Iannone blasting up the inside of Rossi and opening the door for ‘Demso Dovi’ to come up the inside of them both. The last lap began with Dovizioso in second as Iannone held onto the final step of the podium, Rossi hunting for a way past the powerful Ducati. Every time they ran across a straight the Ducati was able to stretch its legs, Rossi trying all he could on the brakes. 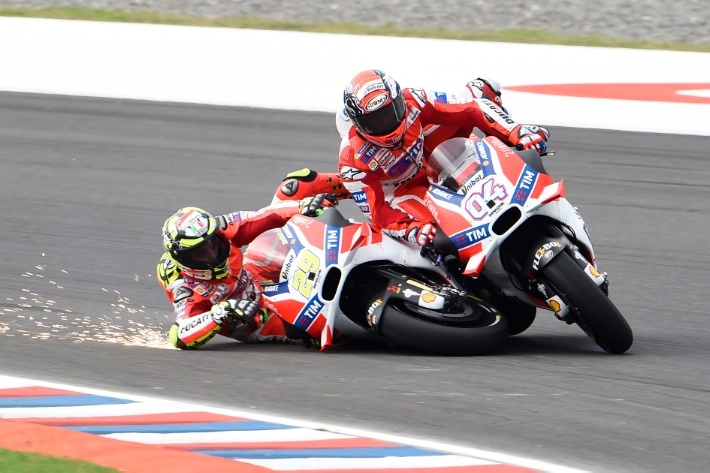 Iannone did not defend; instead he began to attack his teammate Dovizioso, the pair crashing out together at Turn 12 after an overly enthusiastic move from Iannone. 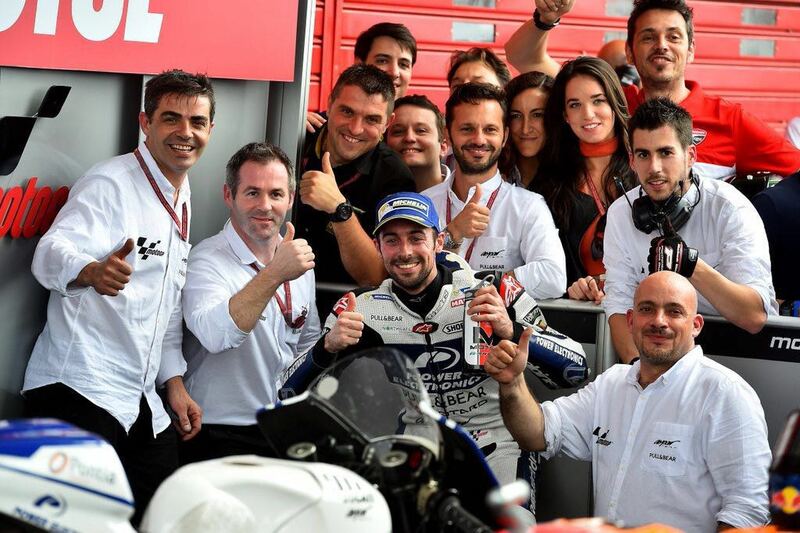 Just off the podium was Eugene Laverty (Aspar Team MotoGP), the Irish rider ending fourth and as the top Independent Team rider. 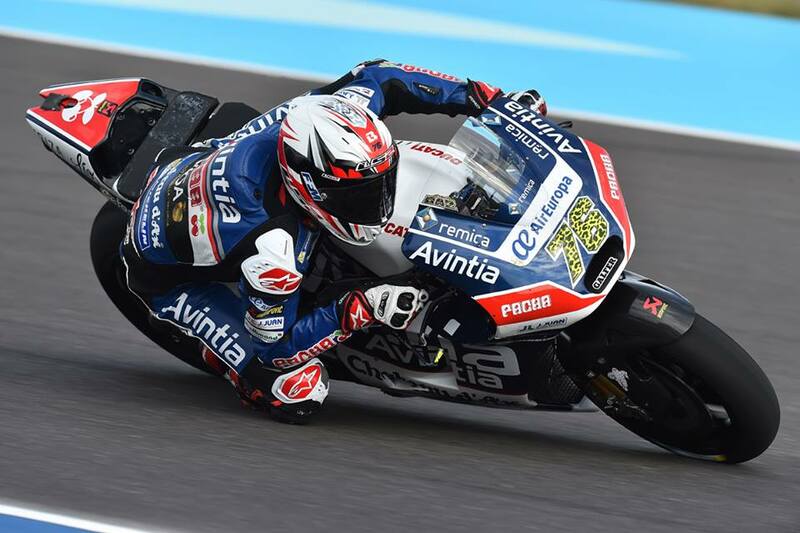 This is by far Laverty’s best result in MotoGP™, besting Hector Barbera (Avintia Racing) by 0.169s. Pol Espargaro (Monster Yamaha Tech 3) secured a solid sixth ahead of Stefan Bradl (Aprilia Racing Team Gresini), who secured Aprilia’s best race result since returning with a factory entry. Bradley Smith (Monster Yamaha Tech 3), Tito Rabat (Estrella Galicia 0,0) and Alvaro Bautista (Aprilia Racing Team Gresini), completed the top ten. Thanks to his victory, Marquez leads the championship with 41 points. Perfection from Marc Marquez at the Gran Premio Motul de la República Argentina sees the Spaniard take his first win of 2016. 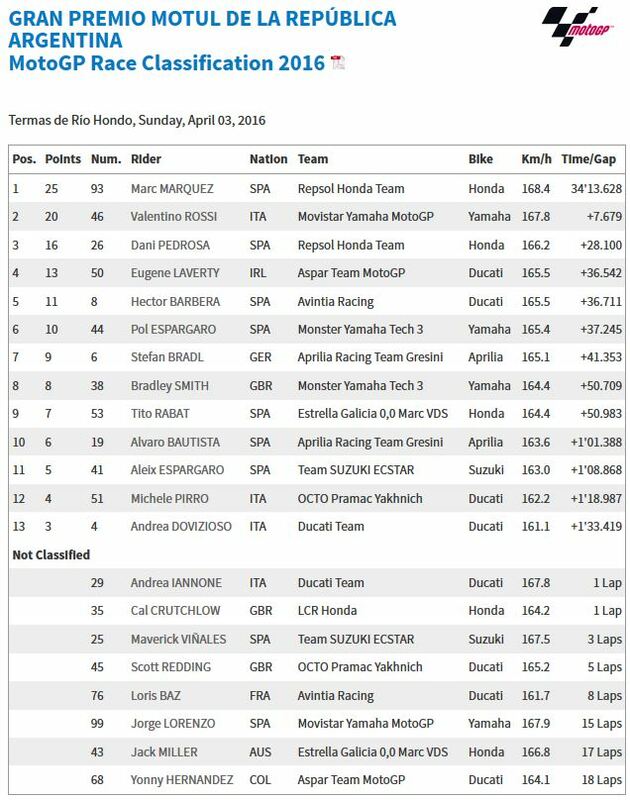 Long gone were Marc Marquez’s and Honda’s woes from testing, the combination back to their best in Argentina. Starting from pole position, the Repsol Honda Team rider had a less than ideal start and was pushed down the order in the charge to Turn 1. 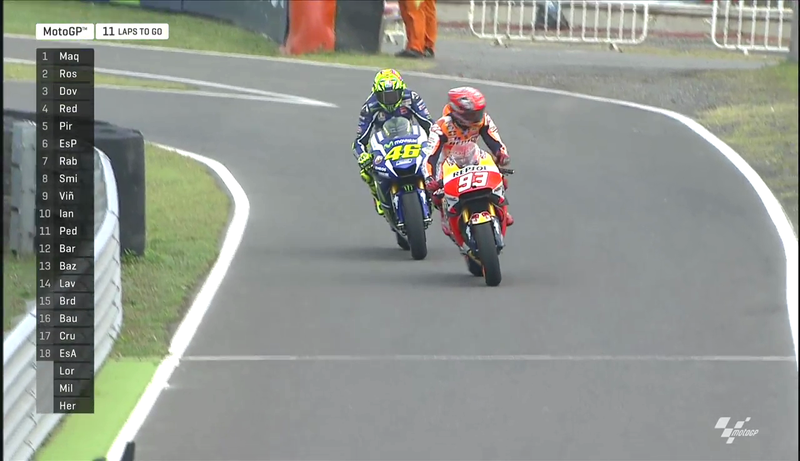 He would finish lap two in third lap, but had Valentino Rossi (Movistar Yamaha MotoGP) square in his sights. On lap three he overtook his great rival, but was unable to shake off the Yamaha, the pair circulating together until they pitted on lap 11 for the mandatory bike change. Marquez would retain the lead of the race, never challenged once he returned to track on his second bike. 7.679 seconds would split Marquez from Rossi at the end of the race, Marquez leaving Argentina with an extra 25 points and result in him obtaining the lead of the MotoGP™ World Championship by eight points. 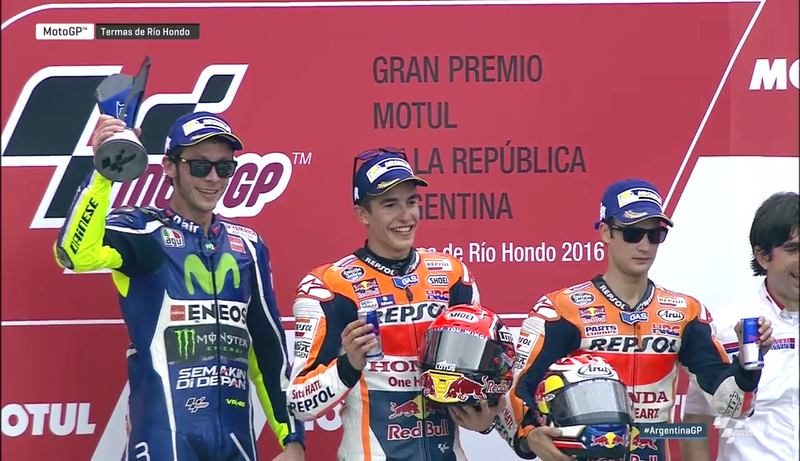 This was Marquez’s second win in Argentina, the track and conditions suiting his style. The World Championship now heads to Austin for round three at the Circuit of the Americas, a track where Marquez has never been defeated. Few would have expected Marquez and Honda to lead the championship after their tricky off season, Austin could now offer an almost perfect chance for Marquez to extend his lead. 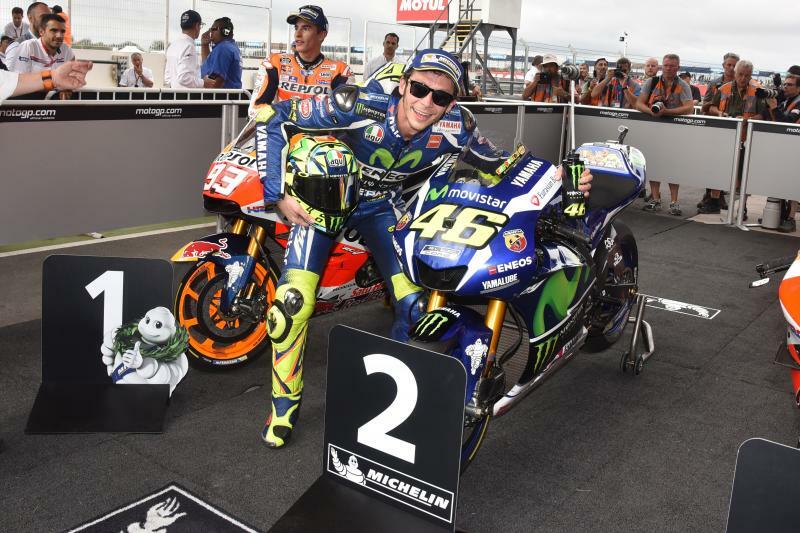 Falls ahead of him promote Valentino Rossi to second after a race long podium challenge in Argentina. 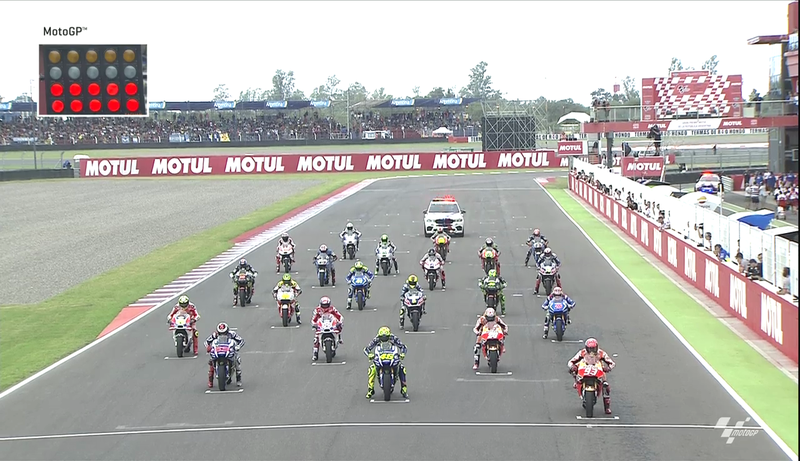 The opening laps of the Gran Premio Motul de la República Argentina had a distinct air of familiarity about them: Marc Marquez (Repsol Honda Team) followed closely by Valentino Rossi. Marquez was unable to shake the determined Italian who remained on his tail until the pair pitted on lap 11 for the mandatory pit stops. Unfortunately Rossi’s race challenge would end here, his second Yamaha M1 not producing anywhere near the same feeling as his first bike, despite the setting being identical. Each Grand Prix motorcycle is a hand craft piece of art, even the smallest of differences having a significant impact on the best riders in the world’s performance. After the bike change, Rossi found himself in the company of Maverick Viñales (Team Suzuki Ecstar) and the Ducati Team duo. 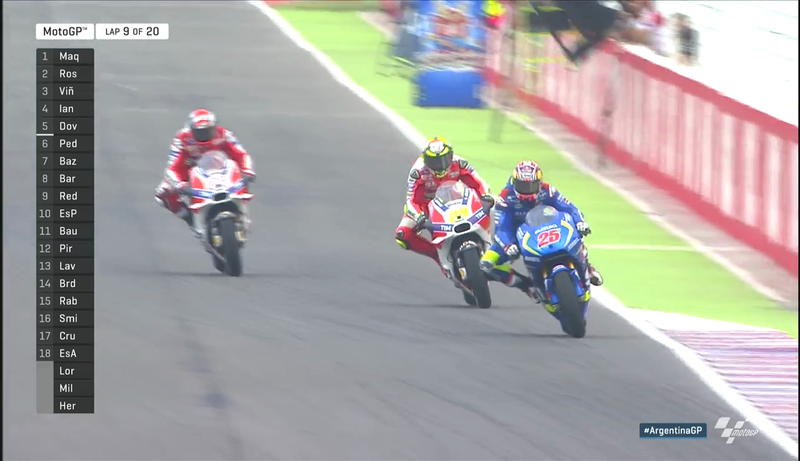 Viñales launch several attacks but Rossi’s experience allowed him to pass the young back, Viñales eventually falling. The attacks didn’t stop as Rossi soon found himself contending with Dovizioso and Iannone, their Ducatis clearly having an advantage on top end speed down the straight. Eventually they broke away and it looked as though Rossi was destined to finish in fourth, until the factory pair crashed and Rossi picked up second. Second in the race also moves Rossi to second in the MotoGP™ World Championship, eight points off the top spot. 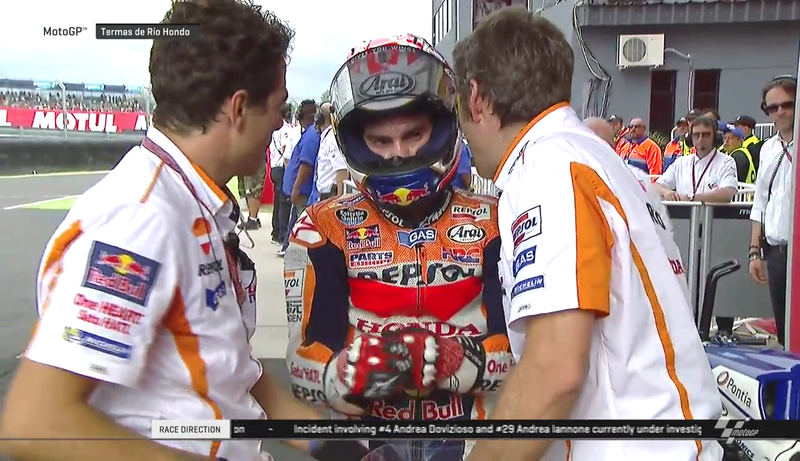 Dani Pedrosa went from fifth to third in the final two corners at the Argentina GP by simply avoiding trouble. The Gran Premio Motul de la República Argentina got off to a poor start for Dani Pedrosa, his great launch off the line reduced to nothing as Andrea Iannone (Ducati Team) came charging up his inside and pushed him wide. This caused the Repsol Honda Team stalwart to drop down the order and outside the top ten and conclude the first lap in 15th. From here he went about steadily picking his way through the field, able to get inside the top ten by lap four. Finally on lap 16 Pedrosa was sat in sixth place, promoted to fifth by the crash of Maverick Viñales (Team Suzuki Ecstar) on lap 18. Pedrosa looked set to finish in fifth until Iannone crashed into his Ducati Team teammate in the final corners. This saw Pedrosa step onto the podium for the first time in 2016, and complete the first double Repsol Honda Team podium of the season. Pedrosa is under no illusions and knows full well that this third place came thanks to a bit of luck. Thanks to consistent finishes in both the Qatar and Argentina GPs, Pedrosa sits third in the MotoGP™ World Championship with 27 points, 14 back on his teammate Marc Marquez who leads the points table. The Gran Premio Motul de la República Argentina ends in the Turn 1 gravel for Jorge Lorenzo, the Majorcan walking away with zero points. Starting from third on the grid, Jorge Lorenzo launched off the line well and grabbed the holeshot into Turn 1 but quickly found himself shoved down the order to seventh. The Movistar Yamaha MotoGP rider took his time to get his Michelin tyres up to temperature and with 16 laps to go and the front-runners flying away, he tried to push. For the second time in the weekend, Lorenzo found himself in the gravel at Turn 1 at the Termas de Rio Hondo circuit after losing the front of his Yamaha M1. While Lorenzo was unharmed, his bike was in no state to continue the race and Lorenzo withdrew from the race. For the first time since the San Marino GP in 2015, Lorenzo left a MotoGP™ World Championship weekend without points. Thanks to his victory in Qatar, Lorenzo still holds fourth in the overall standings but once again has ground to make up in the championship. After two rounds in 2015, Lorenzo was fifth in the championship and recovered to take the title, his current position by no means a disaster. The Championship now head directly to Austin for round three, Lorenzo not having to wait long for a chance to return to the podium. Watch the Press Conference with the winners here! 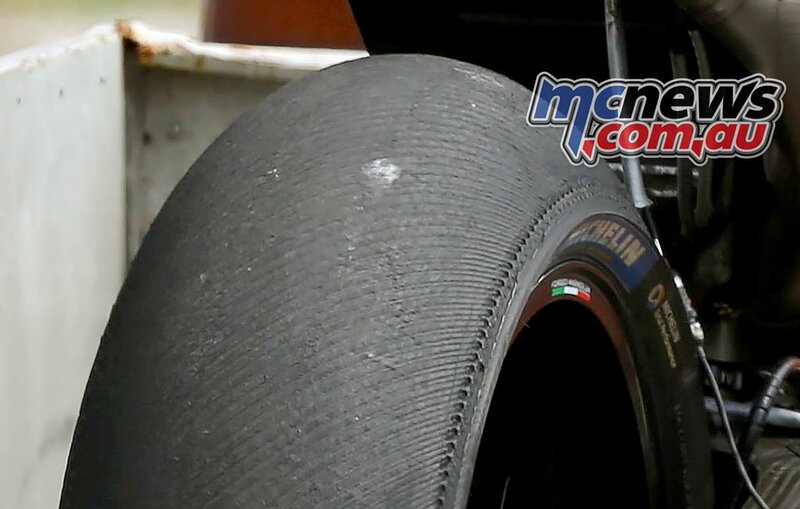 Due to Saturday’s Michelin rear tyre explosion under Scott Redding’s Pramac Ducati, the weekend’s MotoGP race was shortened to 20 laps and an enforced bike swap was made to ensure maximum safety for the riders – but oh how it ruined what could have been a sensational race. Sure, the issues threw up confusion and drama in equal measure but just as things were hotting up on track between bitter rivals Marc Marquez and Valentino Rossi at the front the pair had to pit with the Italian’s hopes of victory disappearing in a short swift Spanish jump. Although Marquez stormed to a relatively easy victory all things considered, it is difficult to gauge whether HRC have cured all their woes that resurfaced in pre-season and at Qatar. The Spaniard was never really tested having been handed the lead before the bike swap by Rossi who hit a damp patch and ran wide. Even after the Formula 1-like pit stop the two-time World Champion cruised around with the Italian struggling to replicate the pace he had set on his new M1 Yamaha. Simply put, Marquez was never really forced to push and until he is we won’t know whether Honda’s growing list of problem’s has started to ease but it’s certainly a step in the right direction. Maniac Joe or just a maniac? Andrea Iannone is in danger of making a name for himself but not for the reasons ‘Maniac Joe’ will be wanting. In Qatar the Italian was fully expected to challenge for victory before binning his Desmosedici down the road in the early stages and on Sunday he backed his actions up by committing the cardinal sin. Having fended off his hero and compatriot Rossi with a lap to go the 26-year-old wasn’t content to just settle for a solid third-placed finish. Iannone decided that a last corner lunge on team-mate Andrea Dovizioso was the perfect response to his opening round woes and with it saw Ducati’s chance at a double podium go up in a puff of smoke. While Iannone was left to reflect in the gravel trap at what might have been and how he was going to explain his way out of this one Rossi was licking his chops as he saw a disastrous result turn into a positive one. 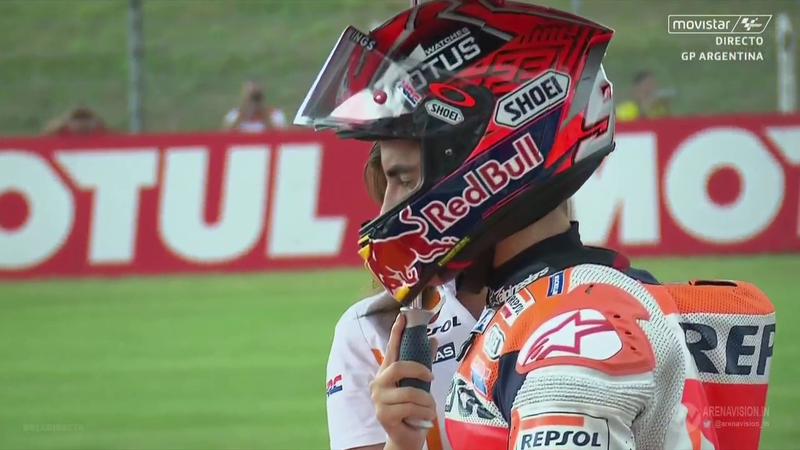 Nobody likes change, but it appears that Jorge Lorenzo may not like it more than most. After being beaten and bustled back to sixth place the reigning World Champion uncharacteristically threw his Yamaha up the road after just five laps. 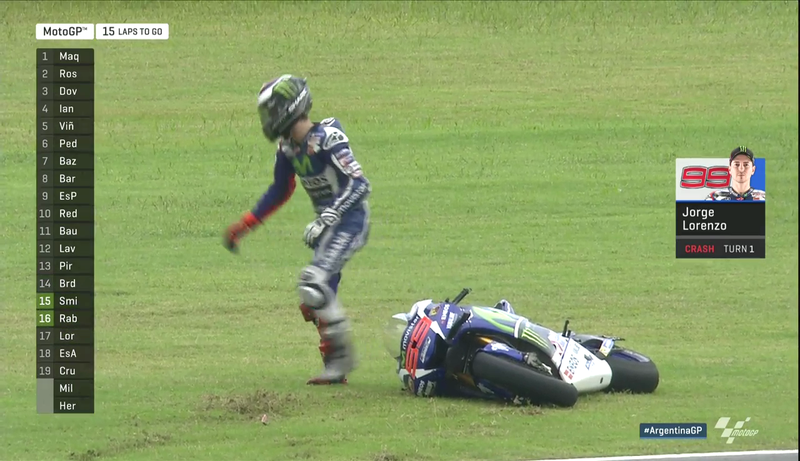 The irony of Lorenzo falling in front of the raucous Valentino Rossi stand I’m sure was not lost on the 28-year-old but as he trudged off he must have been ruing what could have been. Despite his three MotoGP World titles Lorenzo has never won the opening two rounds of any season and that is a stat that clearly irks him but more importantly, the Spaniard could’ve really asserted his dominance on the field this weekend. Alas, it wasn’t to be and whether it was the debacle of the rule changes on Sunday morning or that he just simply made a mistake our current champion heads to American under a cloud of uncertainty. The championship now moves onto the Circuit of the Americas in Austin next Sunday and after a drama filled visit to Argentina north America certainly has a lot to live up too.